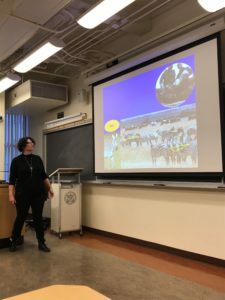 In short terms, behavioral ecology asks the question, “what does an animal gain in fitness terms by doing this rather than that?” Most researchers answer this question by spending time in the field studying one or a community of animals over time. 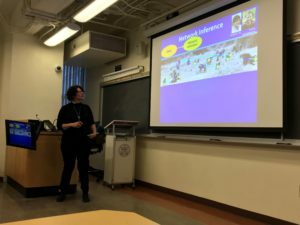 But at the University of Illinois at Chicago, Dr. Tanya Berger-Wolf’s work focuses on methods that study everyone in a population at the same time. Think “ants with QR codes” and “Fitbits for Baboons.” Collecting, cleaning, and translating such sensor data into insights about animal behavior introduces a host of computational challenges. 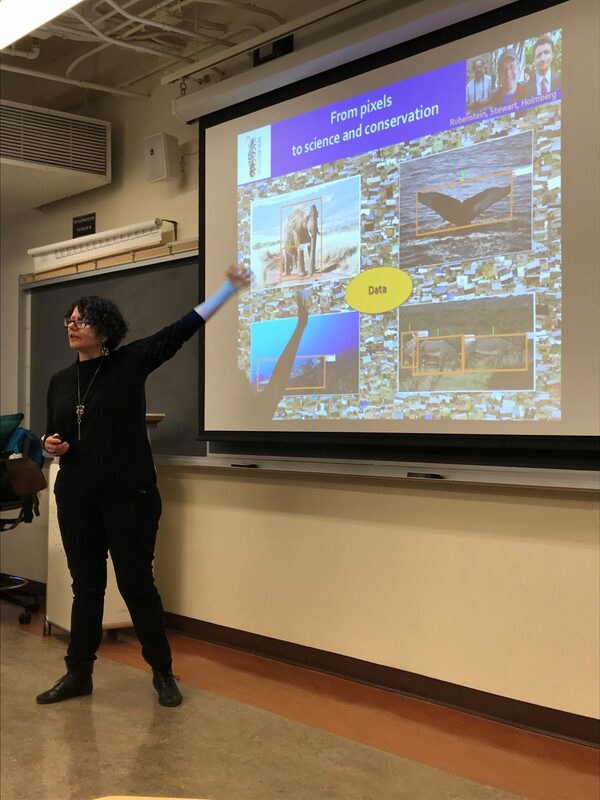 In 2015, Dr. Berger-Wolf began a project using machine learning to track animals across different locations using only photographs — no Fitbits required. Partnering with the LEWA wildlife conservancy, they initiated the first ever full-species census using photos from citizens in which 100,000 participants sent in over 40,000 images covering 95% of zebra species across 45 locations. 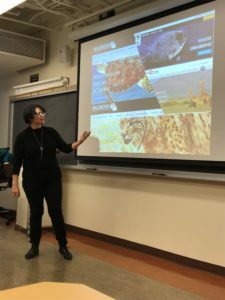 These images created a unique dataset for training a machine learning system that could identify zebras and estimate a population count, but Dr. Berger-Wolf quickly found that hidden sources of bias must be tackled first. Every factor from the cameras’ locations, sensitivity to motion sensor, quality of the image, geometry of the route, to human selection bias introduced error in their models. Work to correct these biases is ongoing, but Dr. Berger-Wolf remarked that this is “a surprisingly learnable problem,” finding that asking people about what they would share on social media is already allowing for corrections. Beyond counting populations, Dr. Berger-Wolf also wants to understand behaviors within populations. One body of her work studies pattern structures of social animals by fitting network models that predict future behavior. For instance, she found that in the short term an animal’s location is best predicted simply by the position of its nearest 4-6 neighbors. However, in the long term the best predictor is the position of the animal’s most common friends. That is, their interactions are not only simple functions of position and time but also long term functions of social preferences. At certain time points, animal behavior is also heavily influenced by the decisions of a leader within their group. If one can identify the leader, one can better understand and predict behaviors of the group. However, such leadership inference is a complex task from a computational standpoint where animals are represented only by positions over time. To tackle this problem, Dr. Berger-Wolf developed a model that dynamically infers a “following” network, allowing her to lock on to individuals that initiate behavior changes using the PageRank algorithm. Finally, Dr. Berger-Wolf described her work modeling dynamic communities, motivated by the idea that “zebras don’t walk with the same group for their whole lives… so are there any correlations of who they tend to walk with?” Her model is based on the idea of social costs in which individuals are reluctant to switch community affiliations due to the resulting social challenges. Interestingly, researchers have confirmed that zebras do experience social costs finding that stress levels and harassment levels increase when they change social groups. Her model then computes parsimony for a given animal population — that is, the social network that explains the community in a way that minimizes the total social cost across all individuals. Though solving this problem exactly is APX Hard, she developed a fast flow based approach which provides constant-factor approximations in polynomial time.